It's motto is "where legend meets history" and people there describe it as "classic Florida roadside attraction meets real world archaeological site". Whichever way you choose to view it, the Fountain of Youth Archaeological Park is absolutely worth visiting when you Saint Augustine. During our initial drive-by on the tourist trolley, I wasn't sure what I was going to find there since it seemed like a classic tourist trap but honestly it did a great job of bringing the nearly 500-year history of America's oldest city to life in a way I didn't quite expect. 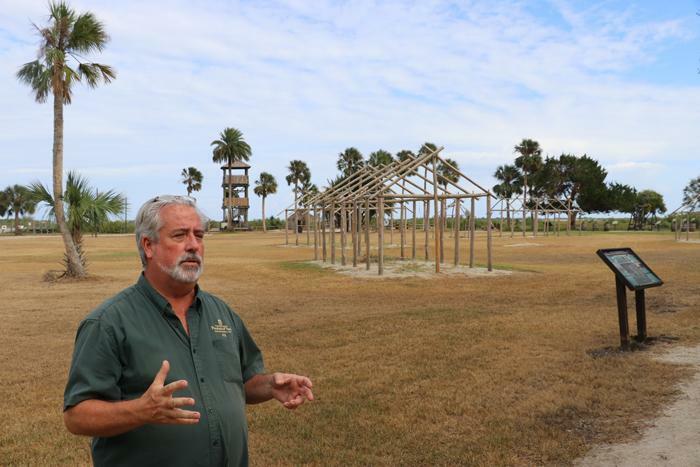 The special part of this attraction is that it is the REAL site of the first St. Augustine settlement. It was where Ponce de Leon first established America's oldest city in 1565 and that story is told through a restored native village as well as some Spanish buildings. It is clearly a work in continual progress but they are trying to be as accurate as possible vs "doing it for the tourists" so that's nice. It's been a tourist site as early as the 1860's but the modern park began in 1904, created by Luella Day McConnell. 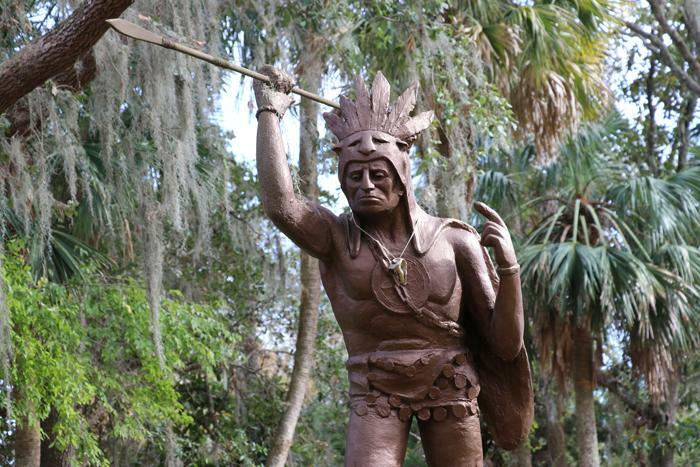 The first archaeological digs started in 1934 by the Smithsonian Institution who uncovered a large number of Christianized Timucua Indian burials leading to the park being recognized as the location of the first Christian Mission in the United States called Mission of Nombre de Dios in 1587. 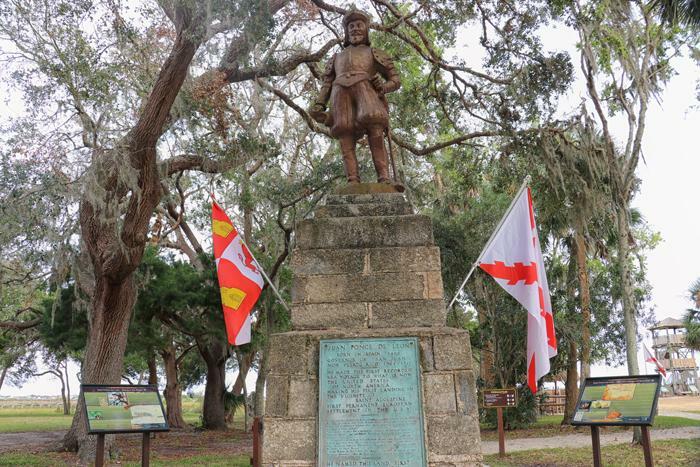 In 1565, Pedro Menendez de Aviles landed on the shore of what at the time was a large Timucuan town. He was on a military mission to deal with the French who had settled north of there and the Timucuans offered the Spanish hospitality and part of their lands to use. For a time, the Spanish and natives co-existed peacefully but over time tensions flared as it became clear that the Spanish had no plans to leave. Being able to walk around this property and talk with guides helps bring that history to life. And then there's the legendary part ... 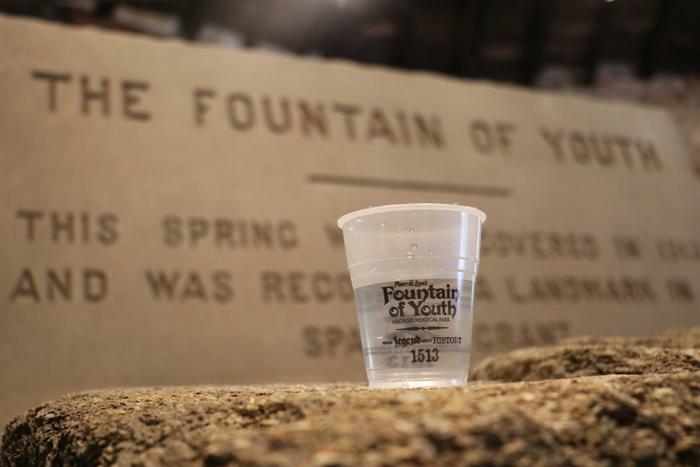 Tourists are invited to visit the actual spring said to be the fountain of youth. While not quite as strong of a spring as it once was, water still comes out of the ground here like it did back then. This spring was ultimately one of the main reasons why both Spanish settlers and native Americans chose to inhabit this land. While a little (OK, a lot) hokey, this is an interesting part of history that I didn't know prior to my visit. I had simply assumed that the "Fountain of Youth" was just a myth. I had no idea that there was actually a spring that gave life to the legend. BTW the water tastes terrible. It is extremely minerally as you might expect, but the people running the park do maintain regular checks on it to ensure that it is safe for consumption. Sadly, after having one cup I still felt old ... so I had another and still no reaction. Maybe it doesn't reverse age but simply arrests it ... our guide told us he was actually 90 years old but he looks like mid-40s, so who knows :) Either way, it doesn't hurt to try! 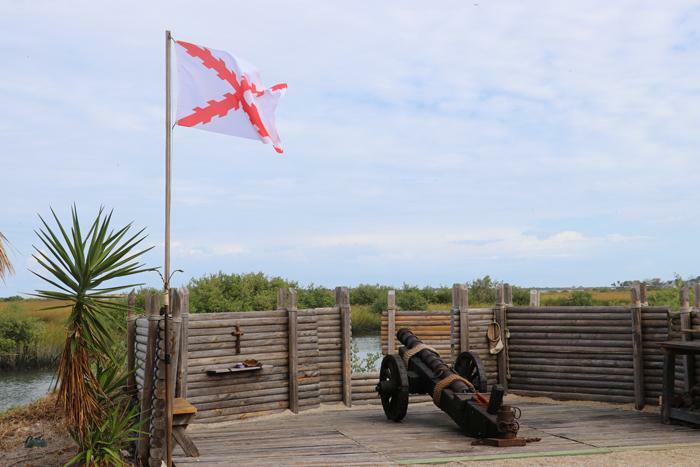 Of course, no fort would be complete without cannons and neither would St Augustine! Each hour, they demonstrate this cannon that once would have fired a solid iron shot about a mile. With a trained crew, this gun could throw three to four rounds per minute. Pedro Menedez brought cannons like this to St. Augustine to protect against the French, Pirates, and whoever else might want to seize control! In addition to the cannon demonstration, historic interpreters are also available to demonstrate other period arms including arquebus guns, crossbow demonstration and other weapons. I was really impressed by my visit here. As someone who prides himself as having a very good grasp of American history, somehow this period of Florida's colonial history was merely a footnote. However, having seen it brought to life the way it was made things that much more fun. 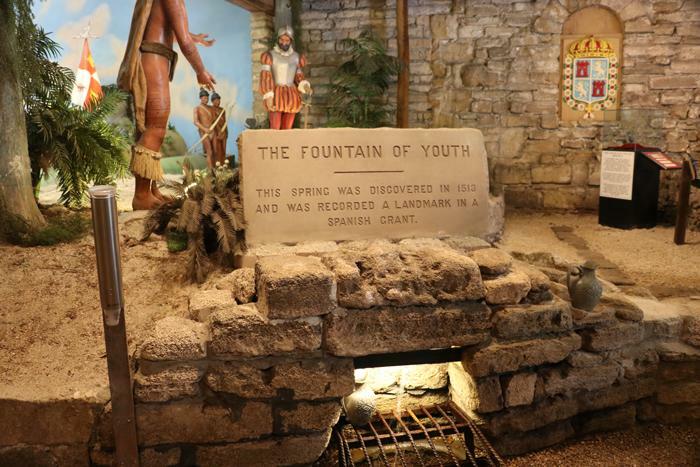 Honestly though, even if you aren't into the historic side of things, between cannons, historic weapons, and a chance to drink from the fountain of youth makes Ponce de Leon's Fountain of Youth worth visiting simply as a roadside attraction too!